The MCAC named their All-Conference Teams for the 2018 Soccer season today, two Rebels athletes made the squad while Women’s soccer coach Doug Lawrie was named Coach of the Year. 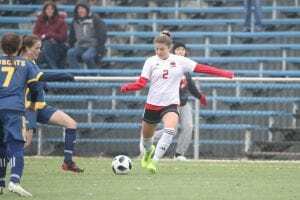 The Rebels Soccer teams finished their respective MCAC regular seasons with a pair of game this past weekend at home and in Brandon. The women Rebels earned a hard fought 1-1 tie against the BU Bobcats saturday afternoon, Julia Friesen scored for the Rebels on a cross from Michelle Herms. Unfortunately the Rebels could not finish the regular season with a win, falling to the CMU Blazers at home on Sunday 3-1. Even thought the Rebels did not win this weekend, they were still able to secure a playoff spot, finishing 4th with a 3-3-4 record. They face the Bobcats in the MCAC Championships semi-final this upcoming Saturday, October 27th, 12:00pm at the Winnipeg Soccer Complex. The men’s Rebels team lost both of their games this weekend, 9-0 to BU and 5-1 to CMU. They finish with a 3-7 record and out of the playoffs. For a complete schedule of the 2018 MCAC Soccer Championships, click here. 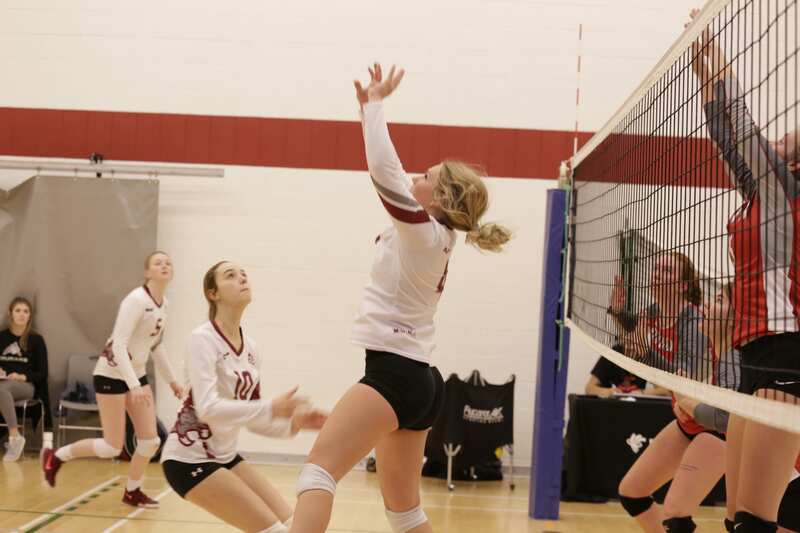 RRC hosted their annual Rebels Invitational Volleyball tournament this past Thanksgiving Weekend, with both men’s and women’s team competing in exhibition play. The men’s team finished the tournament in 4th place with a overall 1-4 record. 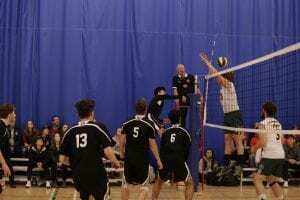 They lost the 3rd place game 2-0 (27-25,28-26) to the Providence University College Pilots. The CMU Blazers won the men’s side of the tournament, defeating the USB Les Rouges 2-1 (14-25,25-21,15-11) in the final. On the women’s size, the Rebels finished in 3rd place with a 2-3 record. The Rebels won their final game of the tournament over the Oak Hills Wolfpack 2-1 (23-25,25-22,15-8). Les Rouges from USB won the tournament, defeating the ACC Cougars 2-0 (27-25,28-26) in the final. Both volleyball teams open their MCAC regular seasons at home on November 2nd against the ACC Cougars. 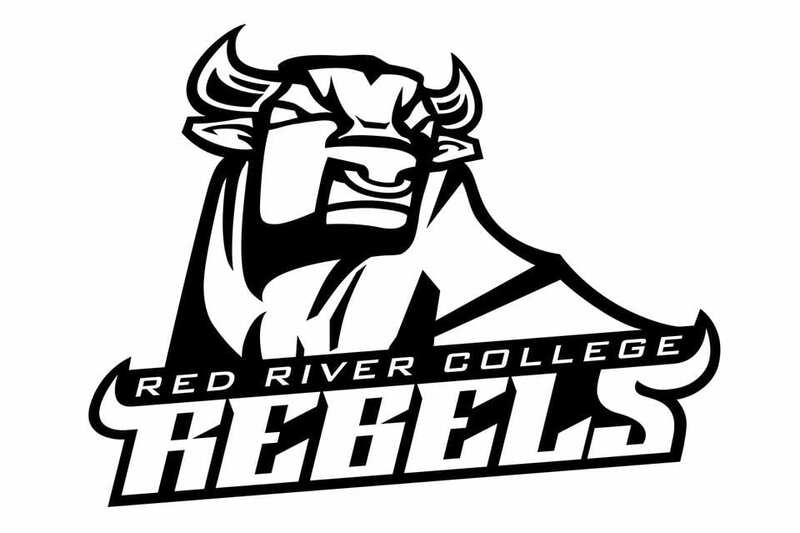 In the meantime, the women’s Rebels team travel to PUC to compete in another exhibition tournament October 12-14. Rebels soccer teams also competing on Saturday, losing a pair of MCAC regular season games to the CMU Blazers, 3-0 for the women and 5-0 for the men. Both teams host games this upcoming weekend, Saturday against PUC and Sunday against ACC. Women’s games start at 1pm with the mens following at 315pm. Both Rebels soccer teams braved the elements this past weekend and earned some much needed victories in MCAC play. 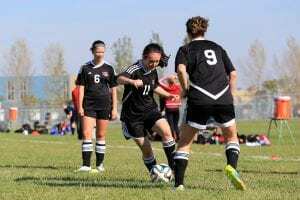 On Saturday, both Rebels soccer teams traveled to Brandon to face the Assiniboine Community College Cougars. In cold conditions, the women Rebels picked up their first win of the season, a 2-1 result. The Rebels men’s team completed the Saturday sweep with a strong 6-2 decision over the Cougars. On Sunday, the Rebels hosted the other Westman team of the MCAC, the Brandon University Bobcats. The Rebels women team earned a hard fought 0-0 draw, with goalkeeper Abigail Wilson picking up the shut out. The men’s team was unable to finish the sweep, losing 6-2 to the Bobcats. Joshua Wall and Ameer Kinnarath scored for the Rebels. Both teams next face Les Rouges of St.Boniface College Saturday September 29th at Memorial Park in Winnipeg. Women’s game starts at 1:00pm, men follows at 3:15pm. The Rebels men’s and women’s soccer teams opened their seasons this weekend with a pair games against the PUC Pilots and at home against Les Rouge from USB. On Saturday in Otterbourne, MB at Providence University College, the Rebels opened their season on a sour note, losing both matches to the Pilots, with the women falling 6-1 and the men’s team getting thumped 7-0. 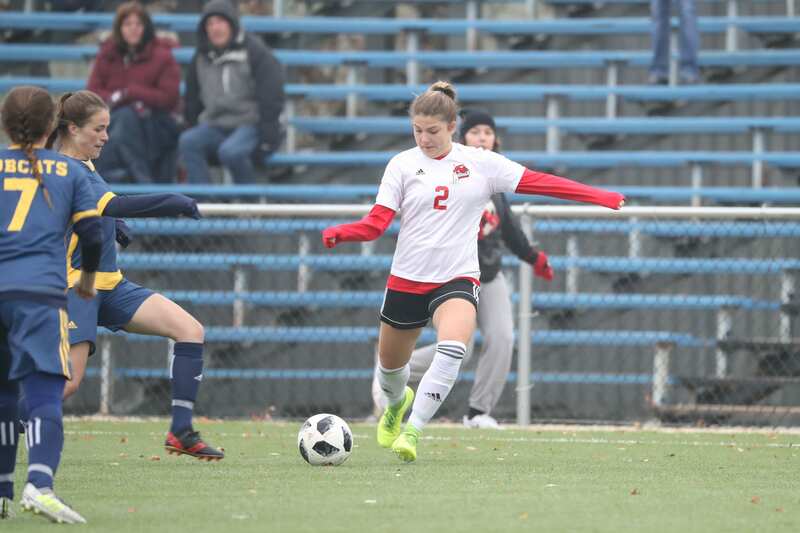 The home opener on Sunday against Les Rouges went much better, with the women’s team losing a hard fought 2-1 contest with Laura Girard scoring the lone goal. The men’s team earned their first win of the season 2-1, Ameek Kinnarath scored for the Rebels along with a Les Rouges own goal earned the victory. The Rebels head to Brandon to face ACC on Saturday Sept.22 then host Brandon University on Sunday the 23rd with the women’s game starting at 1:00pm, men’s at 3:15pm. 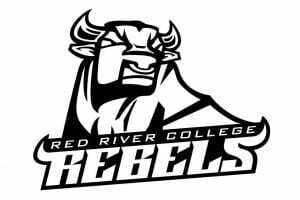 Preview:This year, the Red River Rebels men’s soccer team main goal is to make the 2018 Manitoba Colleges Athletic Conference (MCAC) post-season as they fell one point shy the previous year. The 21 player squad has six returning players with new captain and second year defender Ryan Poirier as a key contributor plus will off-set the loss of 2017’s captain and All-Conference Team recipient Alex Castro. In addition, second year keeper Shane Pfeifer is another significant veteran back with Red River. Head coach Charles Mrena is impressed with his talented group of new recruits and feels this group can achieve goal number one – the playoffs. Mrena commented that the Brandon University Bobcats looks like the most improved team and looks forward to those matches. The challenge will be the second game (Sunday) of each weekend that has a double header. For the conference this year, some of the more dominant players over the past few seasons have departed and Mrena is not sure of the effect and impact on the MCAC for 2018. Red River starts the 2018 men’s soccer MCAC season on Saturday, September 15 at Providence University College Pilots and then the Rebels’ home opener on Sunday, September 16 against Université de Saint-Boniface Les Rouges with both matches beginning at 3:15 p.m. CT. The season culminates with the MCAC Soccer Championships held at the Winnipeg Soccer Complex on October 27-28. Tryouts for the Men’s and Women’s Varsity Soccer teams will take place at the Notre Dame Campus Soccer Fields. MEN’S SOCCER: August 29th from 630pm to 830pm NOTE: evaluations will take place throughout the month of August during training as well.